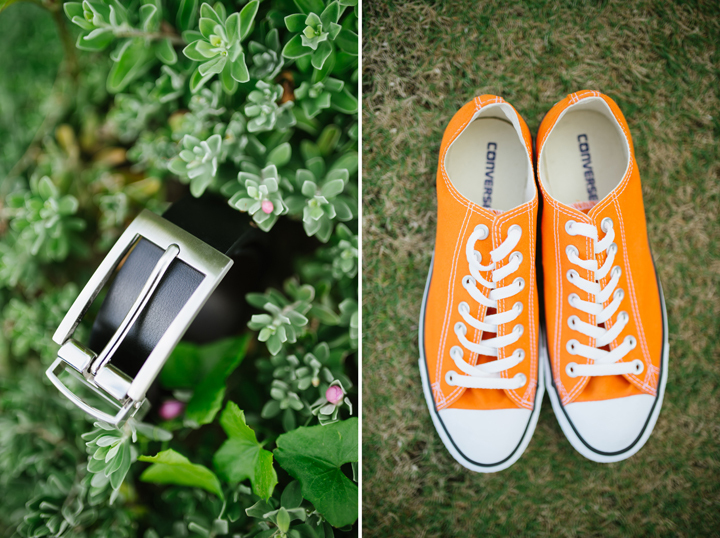 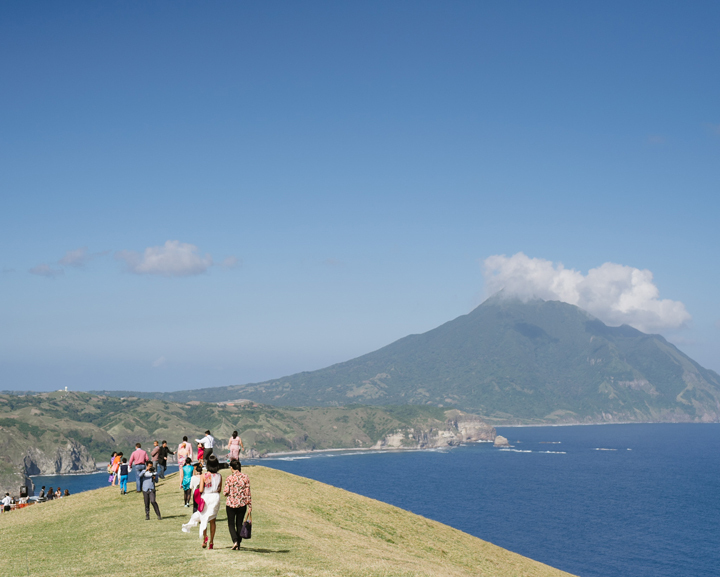 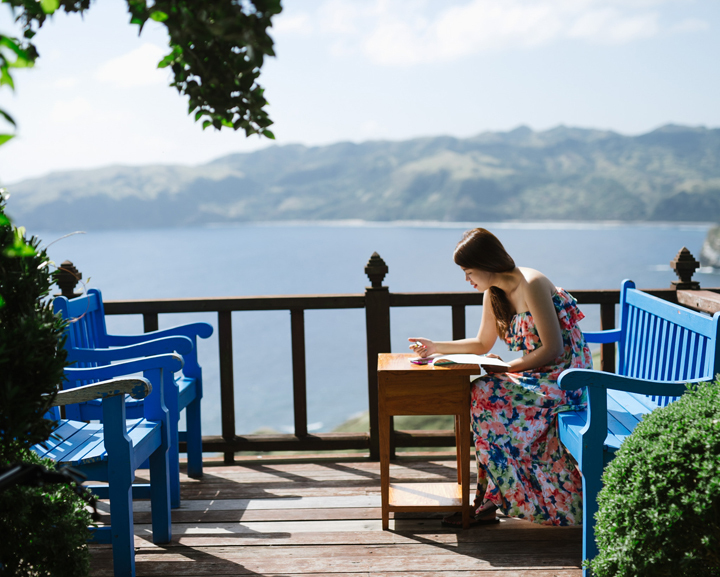 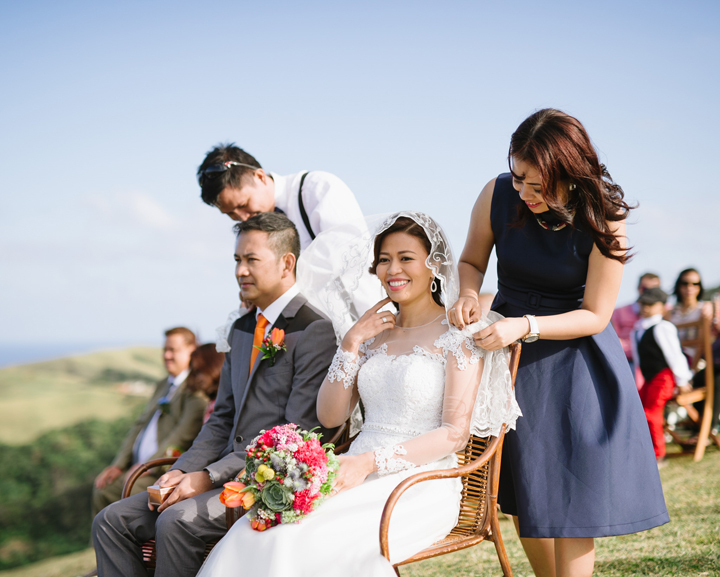 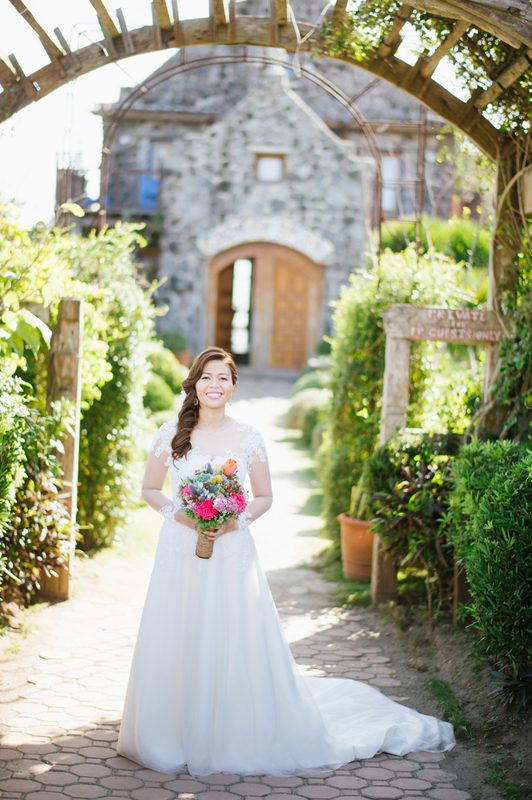 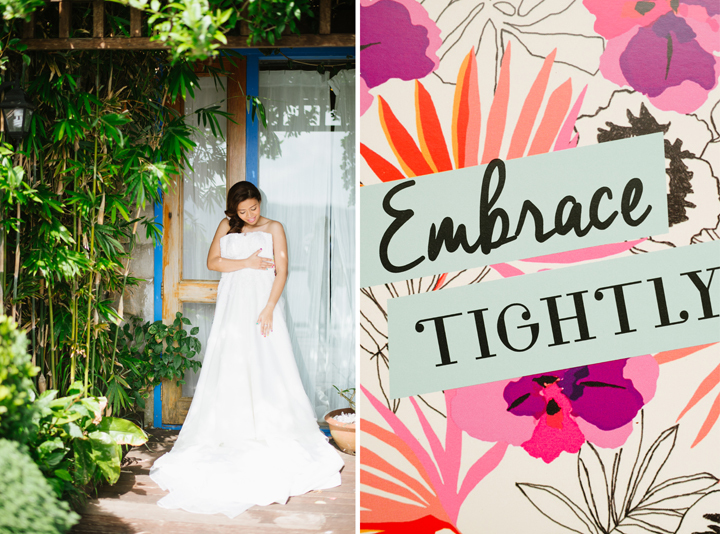 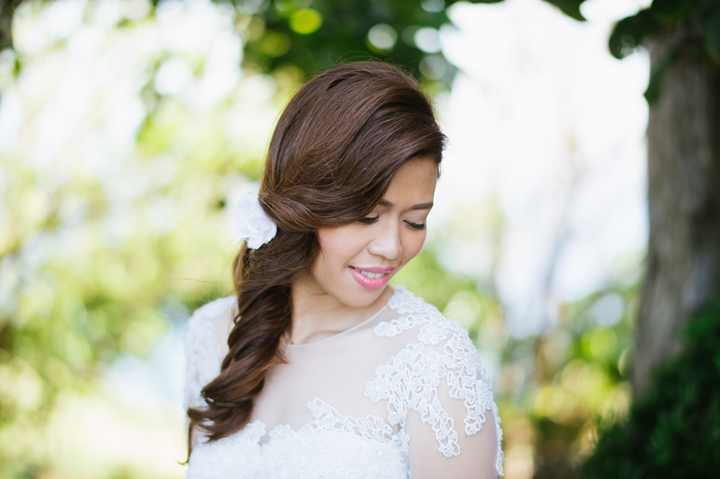 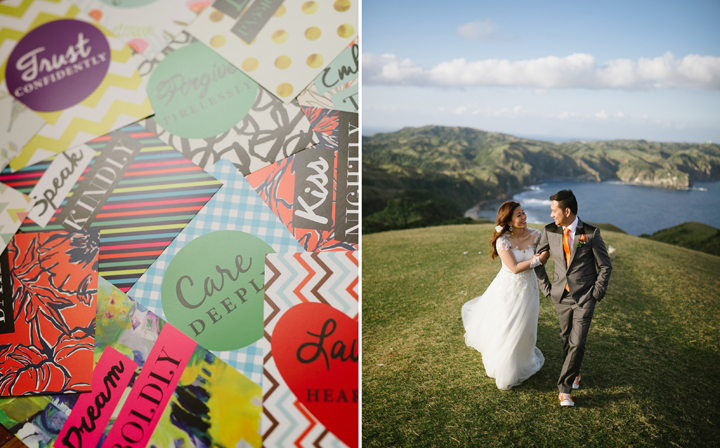 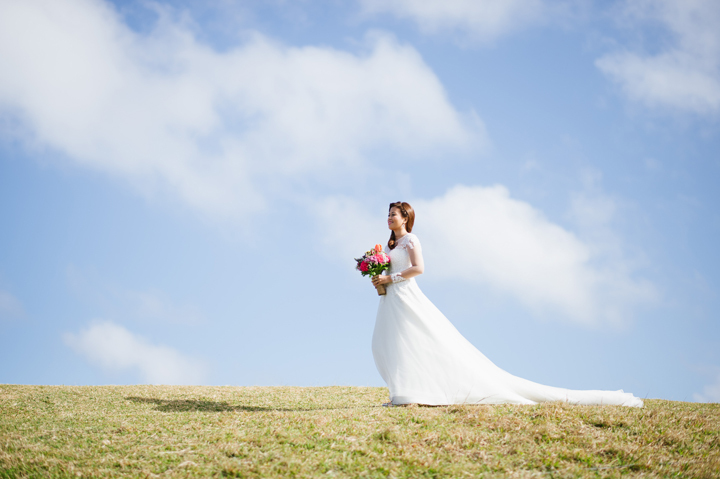 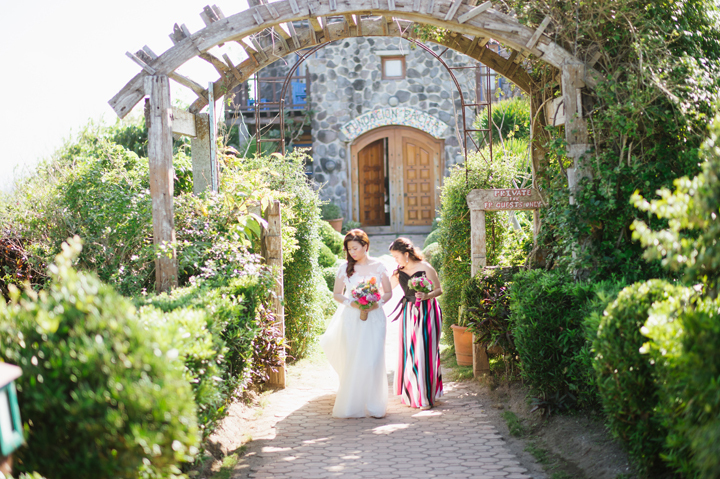 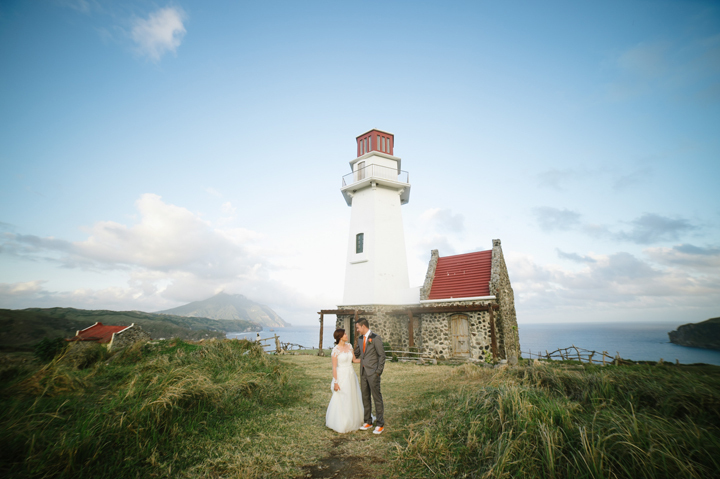 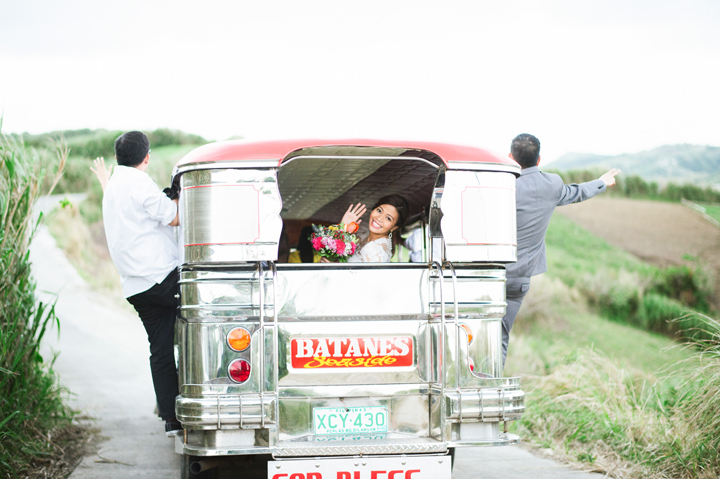 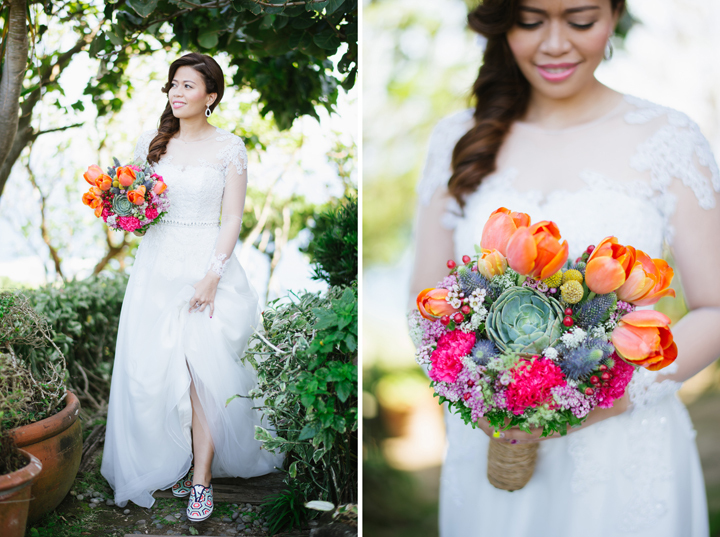 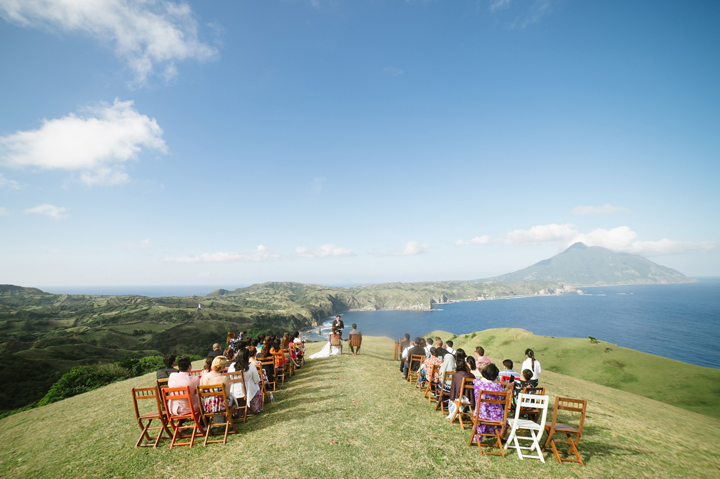 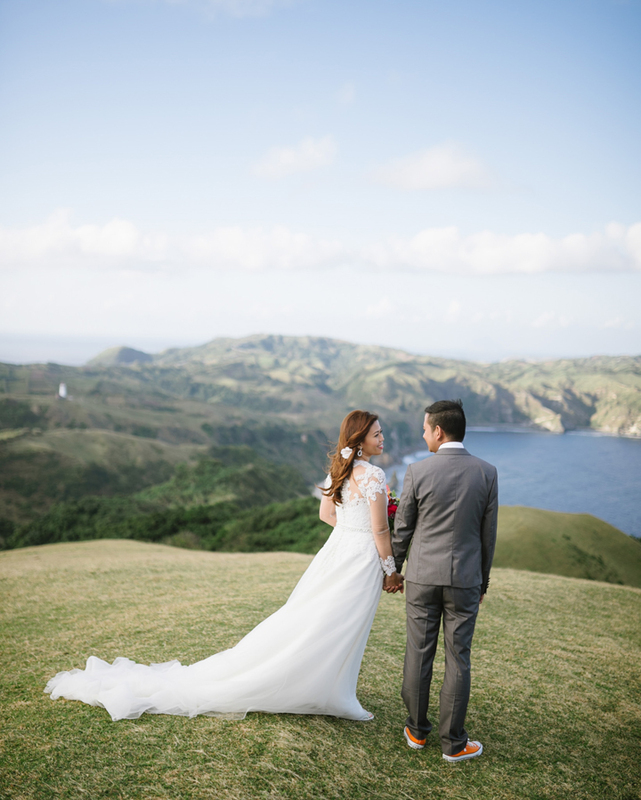 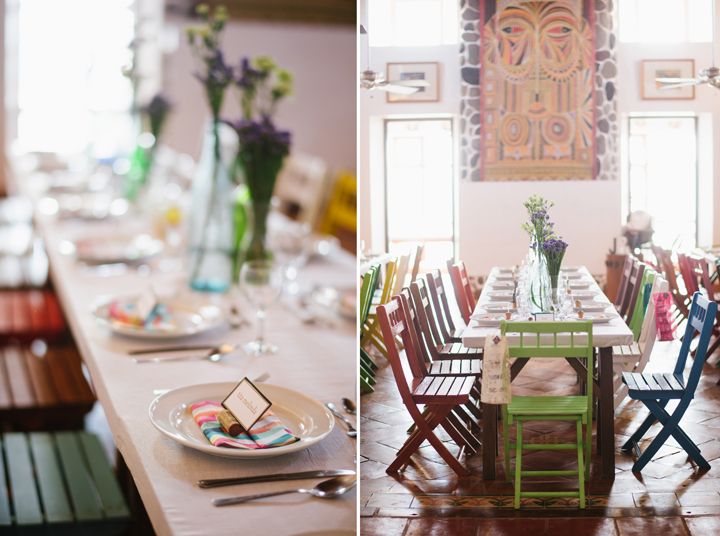 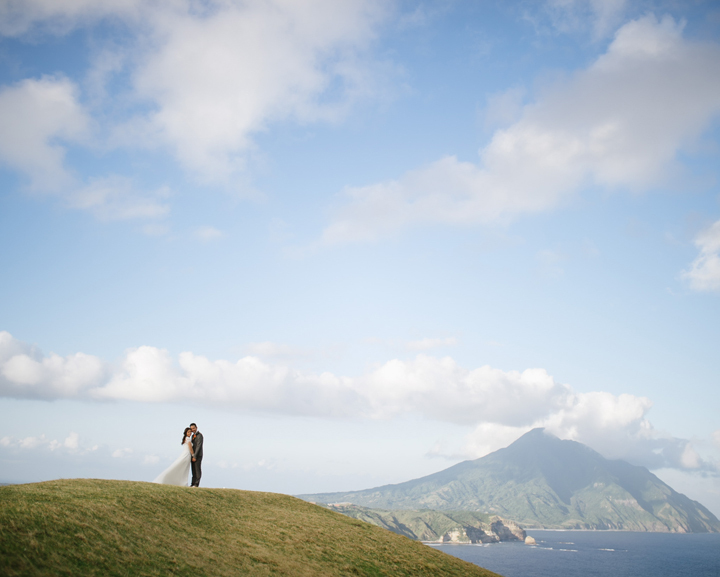 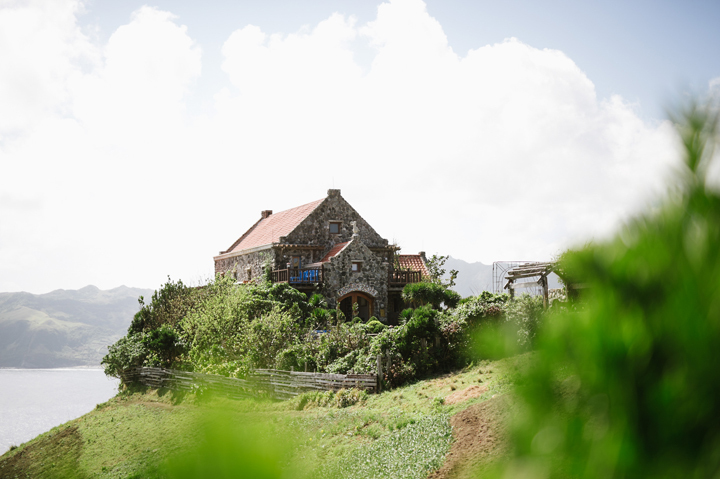 We all know by now that Batanes is the ultimate wedding destination. 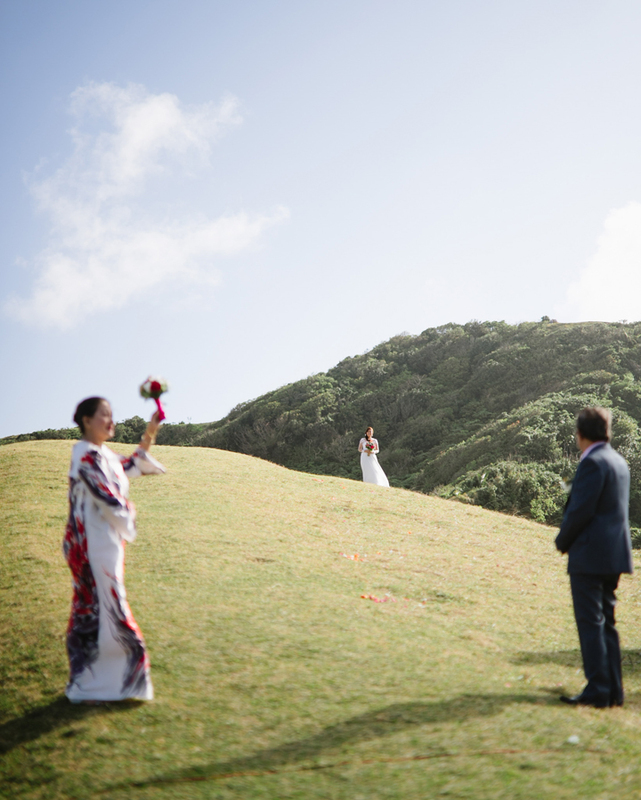 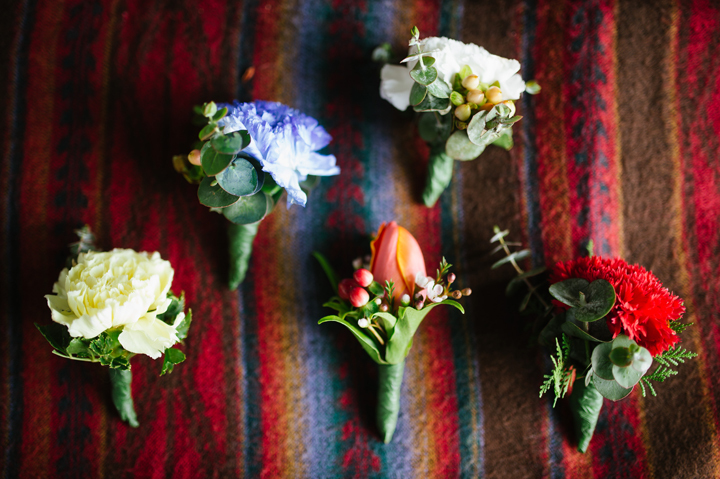 With its picturesque landscape and sweeping green fields, it has become the answer to our dreams of a perfect location for a lovely countryside wedding. 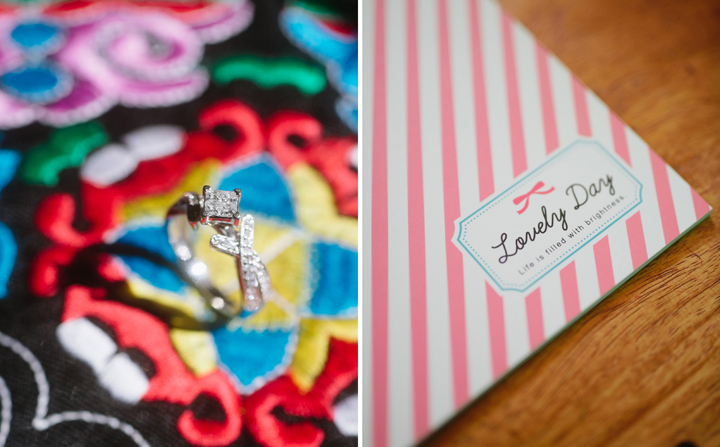 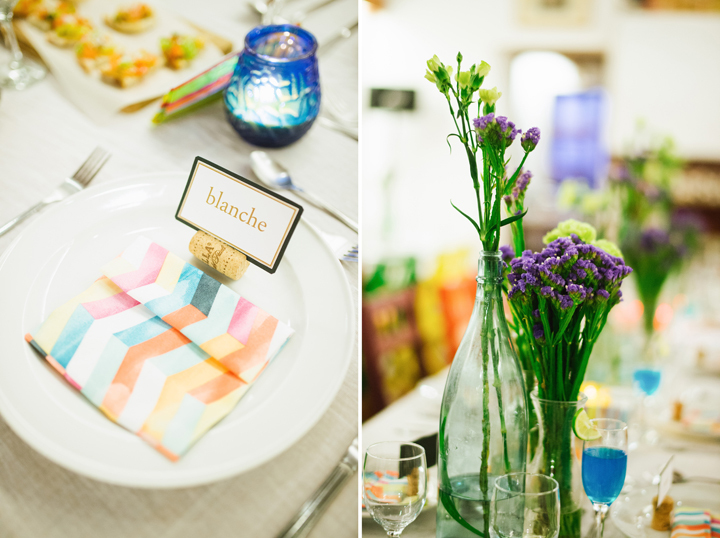 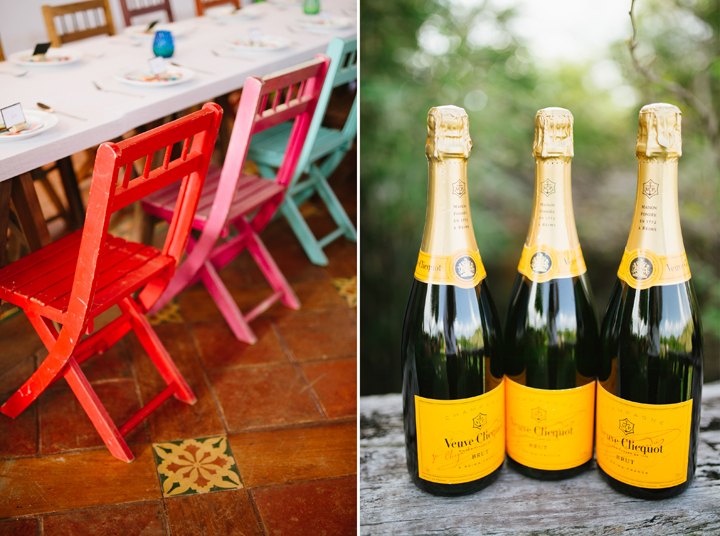 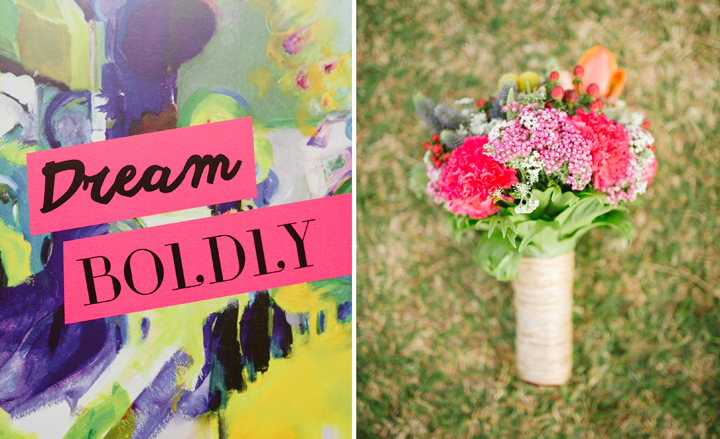 Add to that the most vibrant, spirited Kate Spade theme and we have a fun, colorful wedding to brighten our day! 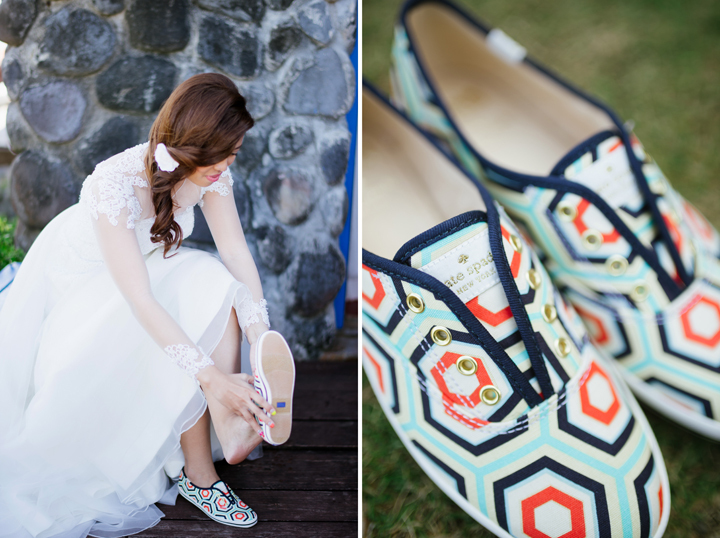 Can’t stop gushing over all the crisp colors, graphic prints and playful details. 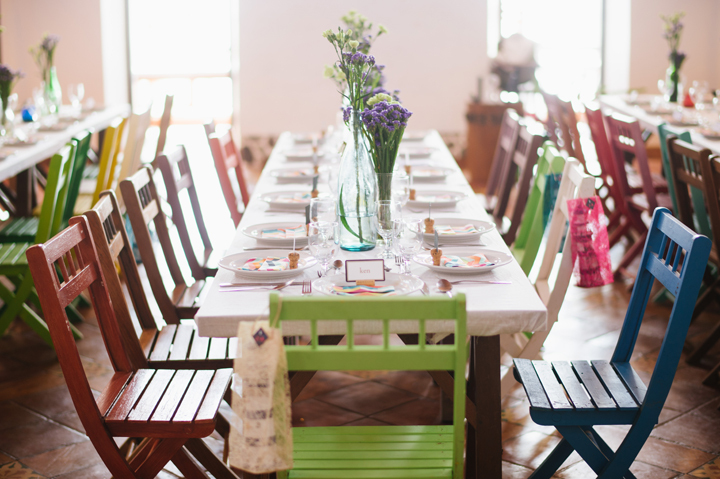 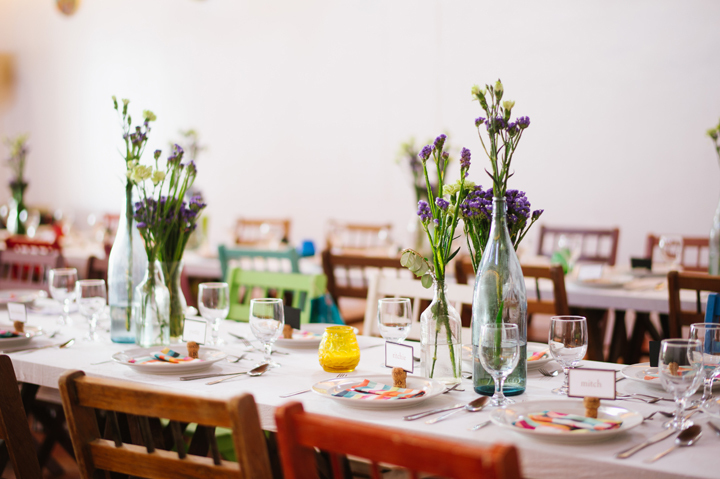 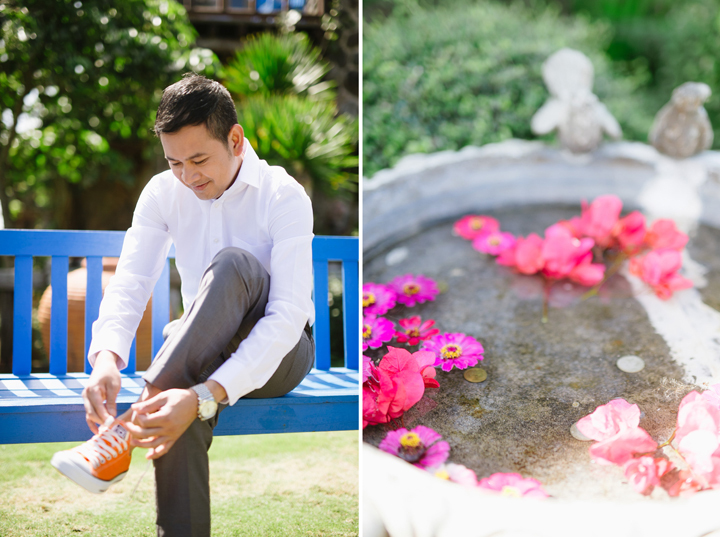 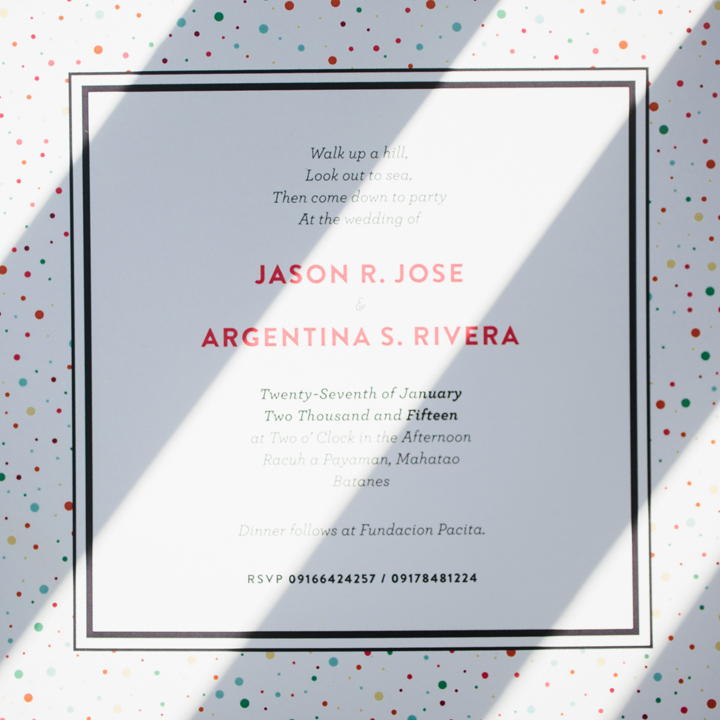 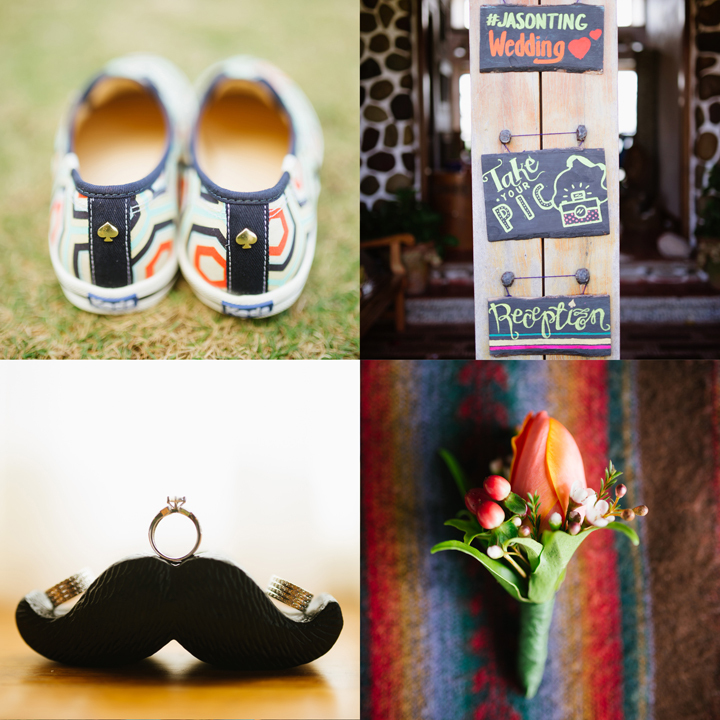 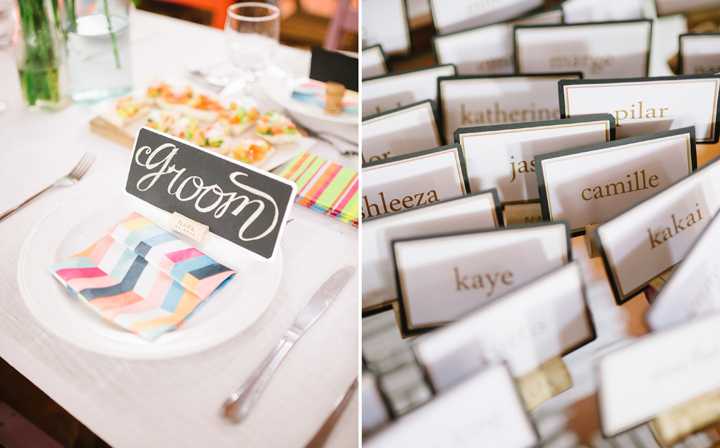 I love how every detail speaks of joy — from the invites, the groom and bridal shoes, the flowers, the guests’ attires, even the bold colored chairs at the reception took part in this oh-so-fun theme. 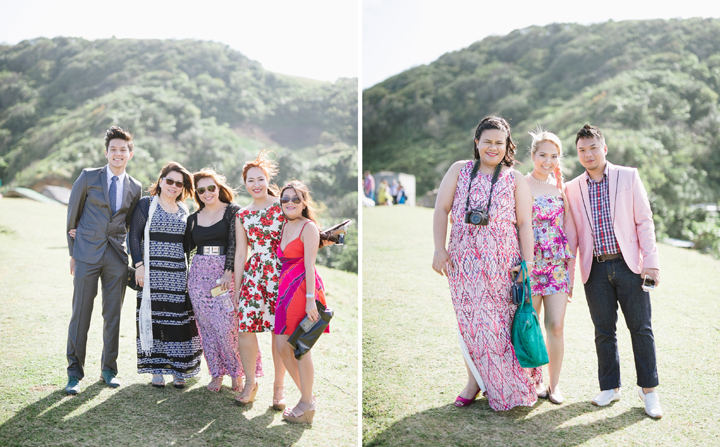 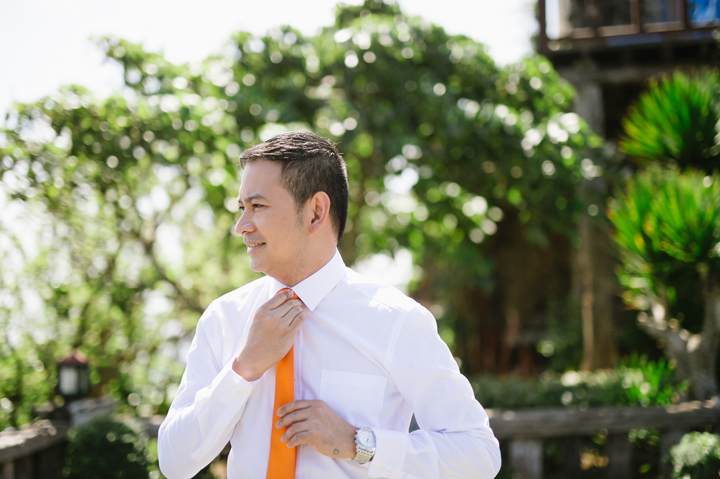 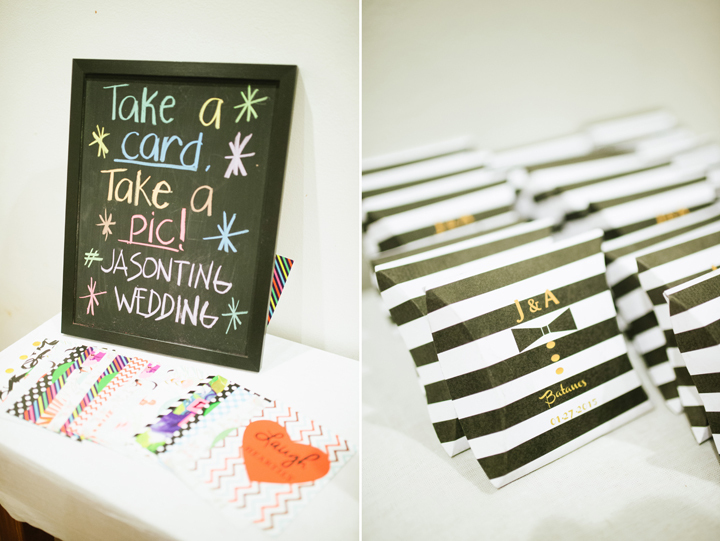 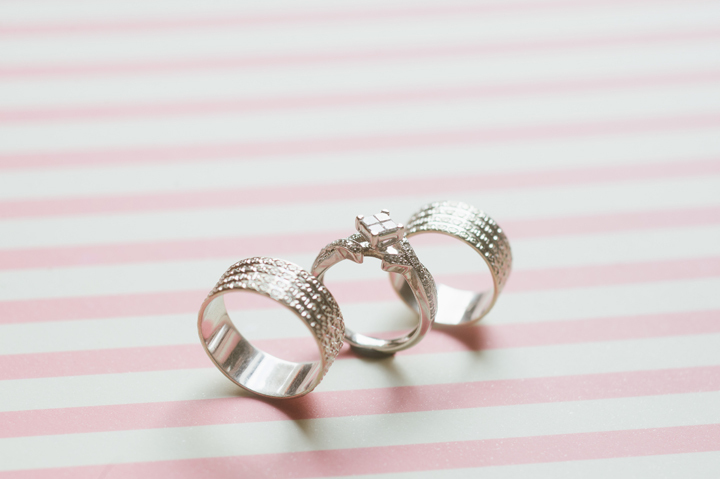 Cheers to the couple’s sisters for styling the most fab Kate Spade wedding for Jason and Argen. 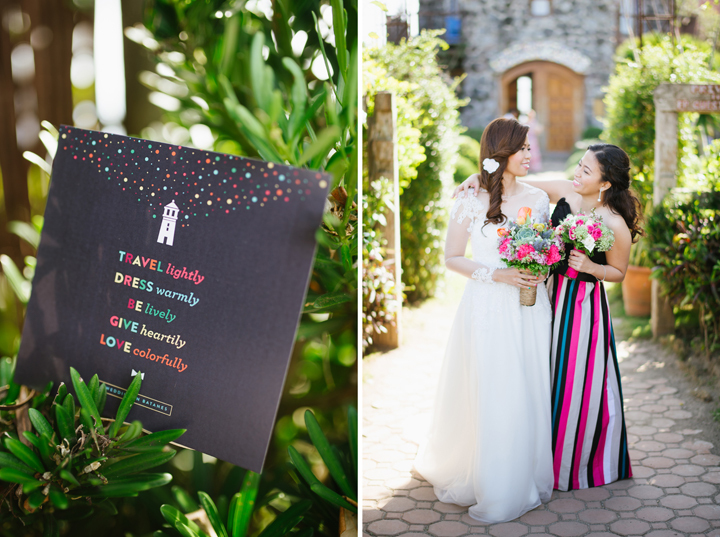 I’m sure the couple and all their guests had the most memorable, joyous day ever!